Rosh Hodesh Elul marks the beginning of a period of 40 days of forgiving and self examination that ends at the closing Prayer (Neila) on Yom Kippur. This time is attributed, according to the Biblical tradition, to the events around Mt. Sinai revelation. As we know, Moses broke the first tablets when he came down from Mt. Sinai and saw that the people are involved with The Sin of the Golden Calf. Later, Moses returns to the mountain for an additional period, starting on Rosh Hodesh Elul. Moses comes down, 40 days later, on Yom Kippur, holding the new tablets and bringing a message of atonement and forgiveness. 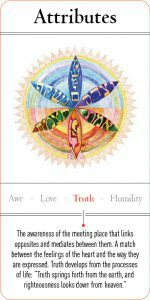 Kabbalists say that these days have the unique quality of forgiveness, repentance and atonement since the six days of creation and that is why Mt. Sinai events occurred exactly at that time of the year. What is the meaning of repentance? The days of Elul are known as days of Teshuva (repentance), from the word LaShuv (לשוב to return (- returning to ourselves, our truth, our real inner connection. Rabbi Nahman from Breslov says that the Hebrew word Tikun (תיקון correction) has the same letters of Tinok (תינוק a baby). Meaning that a person, who corrects himself by removing separation and disconnection from his soul, returns to his initial state, like when he was a baby, sort of restarting all systems, and this is the purpose of these forty days – losing our suffering, pain and distorted self and returning to our real selves. This is the purpose of creation and the secret of the journey of the Month of Elul. So what gives the Month of Elul – Virgo, this a cosmic great quality? According to the Zohar, the Hebrew New Year is a time, which the Universe returns to the day of its Creation; this, in order to give us an opportunity to ease the Tikun process. Once Rosh Hashanah enters/begins the power of life a person has is gone and he is, theoretically, dead. Fortunately, the life force of the New Year starts to enter at the same very moment and it starts to charge our souls with abundance for the year to come. The Creator gives us infinite abundance, since his essence is infinity. However, two many times, it seems that we barely got any luck!!! That happens because the feelings of pain, anger, selfishness, victim consciousness and misery that we possess, do not allow the flow of infinite bliss available that day from filling our souls. Luckily, even when we are connected to the wrong frequency, The Creator still gets to inject a bit of luck, life and sustenance, so we can move on for one more year. Therefore, these days of Elul are made in heaven so we can prepare ourselves to get the luck and abundance offered to us on Rosh Hashanah. As stated in previous articles, Sefer Yetsira (The Book of Formation) – attributed to Abraham the Patriarch – tells us that the 22 Hebrew letters are the building blocks of the Universe. Meaning, the letters represent spiritual frequencies which created our Universe. Similarly, published in the 80’s of the 20th century, the Super String Theory argues that the world is built from 22 basic frequencies (10 dimensions and 12 particles). The problem however, is that modern physicists do not know how these much talked about strings/frequencies affect our life. Sefer Yetsira teaches us that the 22 frequencies, represented by the Hebrew letters, are tools used for transferring spiritual abundance. According to Kabbalah each month is controlled by two Hebrew letters; one controls the planet that dominates the month and the other controls the astrological sign of the month. Elul’s planet is Kokhav (כוכב Mercury) and is controlled by the letter ר (Reish) while Virgo is controlled by the letter י (Yod). In the Torah, it looks like every letter’s shape begins, when is drowned, from the letter Yod. Meaning the letter Yod is the raw material from which all letters are created. The letter Yod, which Elul was created from, has a numeric value of 10. This teaches us that all ten Sefirot of the Tree of Life are included in it. That also indicates that people of this sign have a real connection to flawlessness, and therefore they are known for their perfectionism and criticism. They have a tendency to concentrate on details and therefore to miss the big picture. That is the non spiritual side of the Virgos. However, the spiritual side of them is an imperative urge, motivating them to seek perfection, or even produce it. A spiritual dimension of this sign is to turn the criticism into an inner, constructive work, to take care of others and serve. The Zohar teaches us that the root of the word בתולה (Betula – Virgo) is בתואל (Betuel) meaning the daughter (בִתו) or the house (בֵיתו) of God (El אל). These two meanings also imply Virgo’s strong urge for perfection, because God’s daughter (and house) must be perfect without compromise. Hence the ability of the Virgo to create an environment of natural perfection, as designers, architects, healers and therapists. As stated, Virgo is controlled by Mercury (כוכב Kokhav), implying to the fast thinking character associated with the Virgos. On one hand we might think that the Virgo, which belongs to the earth signs, will be characterized with practicality and slowly thinking, however, being the third of the summer signs (Cancer, Leo, Virgo), Virgo is considered to be the air of the earth signs, hence their quick thinking and speech. Another factor that influences the character of the Virgo is the letter ר (Reish) that controls Kokhav (Mercury). The name of this letter, Reish in Aramaic means “poor”. It is known that lack and hunger are what usually leads to achievements (as opposed to those who have it all and prefer not to make any effort and just sit around and do nothing), hence Kokhav has the essence of searching for the real thing and for perfection. Also, Kokhav (“a star” in Hebrew) has no name like the other planets but its name consists of two parts; the letters Kaf, Vav (כו) and Kaf Bet (כב). Kaf, Vav (כו) have the numerical value of 26 which is also the value of The Creator’s name, the Tetragrammaton. Kaf, Bet (כב) have the numerical value of 22, meaning the 22 letters of the Hebrew Alphabet which are the building blocks of The Creation. The combination of these two opposite main components of our Universe is the ultimate symbol of the idea of unity and true communication. Kokhav implies to the connection between heaven and earth, The Light and The Vessel, body and soul, and that is why Elul of all months gives us the opportunity to do Teshuva (repentance), return and reconnect to our true selves. According to tradition, the name of the month is the initials of the phrase “אני לדודי ודודי לי” (“I am my beloved’s, and my beloved is mine” (Song of Songs 6:3)), because on this month we can connect to the love story between the soul and the Creator. Since we all get some of Virgo’s virtues during Elul, it is a time to review, cleanse and redecorate our thoughts and feelings. Let us use Virgo to return to ourselves and gain freedom from all emotions and thoughts that keep us away from perfection.